In Ancient Greece, spiritual, mental, emotional and physical healing was practiced in the temples dedicated to Asclepius, the God of Healing. A similar approach to medicine can be found in Chinese, Indian, Egyptian, Traditional Medicine and the monasteries and convents of Medieval Europe. During the time of Descartes, spirituality and scientific enquiry separated and took different paths. This was not necessarily a negative development. It is of great benefit to understand the natural laws underpinning our physical existence. However, as scientific progress bought great advances in medicine, the spiritual and mental aspects of healing were put to one side. Medicine became one sided, and perceived the human being as functioning in a similar way to a mechanical machine. Twenty five years ago, I was part of a group of people in the U.K., who considered this approach limited our understanding of health. The Prince of Wales gave a keynote speech the British Medical Association (equivalent of AMA) stating that we should respect the advances made in medical science and technology, while at the same time, being aware that man has a mental and spiritual aspect. These are vital ingredients in the healing process. A quarter of a century has elapsed since Prince Charles speech, and there is much more scientific research with showing the link between the mind and body. (Candice Pert — Molecules of Emotion). Dr. William Tiller in his book, The Creative Art of Manifestation showed how research in new physics and demonstrated how the power of thought can affect matter. In his books, The Power of Prayer and the Practice of Medicine; Reinventing Medicine, and Healing Beyond The Body, Larry Dossey used science to explain how there is an external field outside the body that can be utilised in healing. Science is demonstrating more and more that prayer and meditation can contribute to healing. The patient does not need to be aware of the prayers and the benefits of prayer are not limited to a specific religion. Meditation can change the wiring in our brain to create a more positive frame of mind. Science has shown that negative thoughts create a friendly environment for diseases to take form. I am not sure if science will ever be able to understand the true nature of the soul or the spiritual aspect of man. Nevertheless, it will be able to record how a spiritual consciousness has an effect on the mind and body. Regular meditation does change an individual’s consciousness. This can be evaluated by looking at brain waves, and their subsequent effects on the physiology of a human being. At the present time there are about 3-4 billion people worldwide who believe in a Divine presence, and the importance of the power of prayer in healing. There have been many recorded healings in history from this Divine power. Thousands of people visit Lourdes every year with many “Miracles” being recorded. All religions recognize the presence of the Divine in healing. Acknowledging this powerful healing force within humanity can only support medicine and not detract from it. The physical, mental and spiritual aspects involved in healing can work together for the benefit of the patient. It does not have to be one way, at the expense of the other. As an example, we recently had a breast cancer patient who had one treatment of chemotherapy and spiritual healing, In two weeks, her tumour had shrank by two centimetres, to the great surprise of her oncologist. This is where the two systems of medicine can work together, productively, for the benefit of the patient. We have had patients who required surgery. They received spiritual healing before and after the operation and their recovery time was reduced by one third. The hospital asked our spiritual healer to be present in their ward for all their operations. There is also another way of bringing spirituality into medicine. If disease is seen as a result of a disharmony in the body, mind and spirit. The normal medical steps would be taken to eradicate the physical causes of the disease. At the same time, the patient could look at the causes of spiritual disharmony in their lives and deepen their spiritual understanding, thereby enabling a deeper healing to take place. Treatments like ‘anthroposophy’ or spiritual healing, often can remove the spiritual disharmony without even discussing it with the patient. A patient came to see our anthroposophical doctor for a physical ailment which disappeared, and then reported that he had become a much more generous individual. A cancer patient underwent normal treatment for cancer but reported how they had lost their fear of dying. If the patient can receive treatment for the physical illness, and at the same time undergo a spiritual change, then the healing operates at a much deeper and profound level. I would even go further and say that just removing the physical symptoms, without undergoing a spiritual healing, could result in the spiritual disharmony manifesting in another disease at a later date. Many people would not even make a connection between the two illnesses. Anthroposophical Hospitals — Park Attwood in the UK, and others in Germany and Holland, seek to help their patients use their illness as a tool for developing a deeper spiritual awareness. Other patients may go through a deep self introspection which brings about a change in spiritual awareness. These patients often say that their illness was a blessing, which gave them a deeper insight into their life. Self introspection on a spiritual level does not have to only happen when you are ill. It can happen on a preventative level as well. Expressing our creativity, developing compassion, meditating, having meaning and purpose to our life and following a spiritual path helps to bring harmony into the body and mind. Illness can be a great medium for inner spiritual change. It is very important to understand that just because you are ill, does not mean you have done something wrong. It is part of the process of the deepening of the spirit. 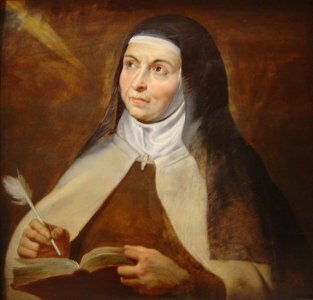 Great Saints like St. Teresa of Avila suffered from a debilitating illness, had a premature death, and was a great soul who had many visions of Christ. I have seen patients die of cancer and other degenerative diseases, who have gained a deep spiritual awareness from their illness, and evolved to another dimension. Many medical doctors feel they have failed if the patient dies. This is not necessarily the case. If spirituality and medicine were connected more closely, death would not be something to fear but a passage to another dimension. The hospice movement has tried to fill that void where medicine did not cater of the spiritual needs of the dying. How we die is very important. Our consciousness at death and the rituals performed by our relatives are a very an important part of the passage of dying. We often talk about the quality of life but not the quality of death. If spirituality is an important part of the healing process how does it apply to the medical doctors and complementary practitioners. On a personal level, it is important for people to enter the healing professions with a sense of vocation and compassion. It cannot just be seen as a career or business. Research has shown that if a patient feels at ease with their doctor or practitioner, it facilitates the healing process. If they can also understand the role that spirituality can play in medicine, it brings a new dimension and meaning to their treatment. If they are to incorporate spirituality into their treatment they will need to bring it into their daily lives as well. Medical schools and colleges for complementary medicine will need to incorporate spiritual awareness into their curriculum. Although ultimately the spiritual path is a personal quest and cannot just be understood by reading a book — it has to be experienced and lived. In the future, I hope science will explain in more depth, how our bodies, mind, emotions and spirituality can cooperate together in the process of healing. We can then create a new twenty first century temple dedicated to Asclepius the God of Healing. Teresa Hale founded the Hale Clinic, London in 1987. Teresa Hale is regarded as one of the Worlds leading "Health visionaries". She has played a major role in growth of Complementary Medicine over the last 17 years. The Prince of Wales opened the Clinic officially in 1988 and Teresa has been at the helm as Managing Director ever since.